Time Inc. UK is Britain’s leading publisher of print and digital magazine content. With more than 60 iconic brands – including Decanter, Country Life, Horse & Hound, NME, What’s On TV and Wallpaper* – Time Inc. UK creates content for multiple platforms, across print, online, mobile, tablets and experiences. Spectrum was retained by Time Inc. UK’s Chief Executive Officer to recruit the company’s first Chief Marketing Officer, as well as a Digital Commercial Director. The activity was led by Spectrum’s Managing Partner, Daniel Osmer. Michel Koch was successfully appointed as Chief Marketing Officer, reporting to Chief Executive Officer Marcus Rich; and Stewart Fox-Mills was appointed as Digital Commercial Director to lead the company’s Homes Network brands in a role that reports to Group Managing Director, Lifestyle, Fiona Dent. Marcus Rich commented: “With a solid background in eCommerce, data and analytics, Michel is a fantastic addition to Time Inc. UK’s executive team. Michel’s focus will be on helping us have a greater understanding of our customers, what their passions are, how they interact with us and what their purchase journey is. This knowledge will help us expand into new ventures and launch new products”. 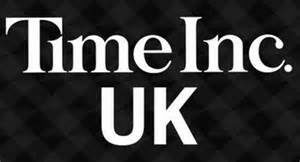 Read Time Inc. UK’s press release here. We were delighted to have the opportunity to support Time Inc. UK at this particularly innovative and exciting stage in the company’s evolution. I wish the executive team every success in leading the convergence of content and eCommerce for the benefit of consumers across its various platforms and titles.